Being the flu season a lot of people get sick, with the flu, a cold and it is harder on people with cronic pains. As we all know we try different things when we get sick especially when we keep getting stomach issues. This is a issue for a lot of people even when they are not sick. Stomach problems are a big issue even if you don’t wanna see it that way. You come to notice more and more in these time and ages. Some people have digestive and intestinal health issues even issues with their immune system. As I have issues going to the bathroom because of some of the medications that I take, a lot of fibromalgia patients can confirm that they have the same issues! 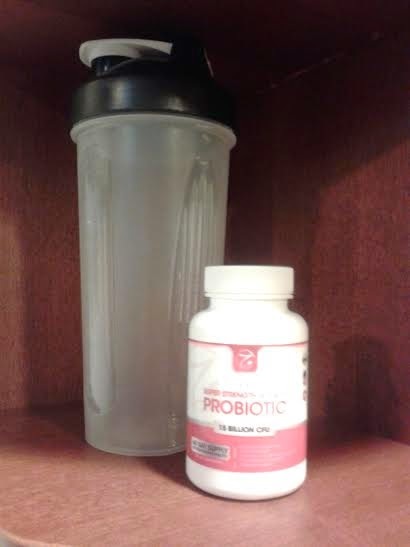 I am very happy to be using this probiotic because its in pill form and it can be use on adults and even kids. With these pills you just take one pill a day to help you. It contains 10 natural probiotic cultures that helps the digestive process. They also serve to fight and protect against harmful bacteria to promote a healthy immune system. I been taking these pills and they have help me a lot. I take them with plenty of water with food. I have not have any side effects. In addition to helping my digestive and intestinal health it has also given me some more energy and it has help me fight against the flu that is wondering around my house. *I received this product in exchange for my honest and unbiased review, Regardless I only recommend products or services I use personally, All opinions are 100% my own.